The history lives in the present. Vitebsk is an unusual city. And sometimes you wonder how harmoniously intertwine here past and present. Probably because here while creating the future people rely on the history of Vitebsk and its traditions. Anyone who has ever been here say in a voice: tourist Vitebsk is a unique and inimitable city. Its every corner, every building is permeated with art, history and an unprecedented combination of folk wisdom and gift. The main thing - not to hasten while walking around the city. And then the sights of Vitebsk will speak to you in one language of history, gestures, you can easily recognize and solve. Palaces, majestic temples and even imperceptible houses all this is Vitebsk, such close and distant. 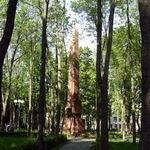 Although, you see, the history of Vitebsk is embodied not only in the rich and monumental urban development. 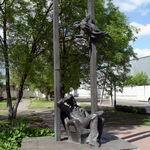 Walking through the city, it is important not to overlook any of the sculptures in Vitebsk. The thing is that this is also the history that can tell a lot about the life of the city and interesting facts. 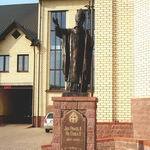 In the monuments of Vitebsk lives not only the gift and soul of the sculptor who created it. 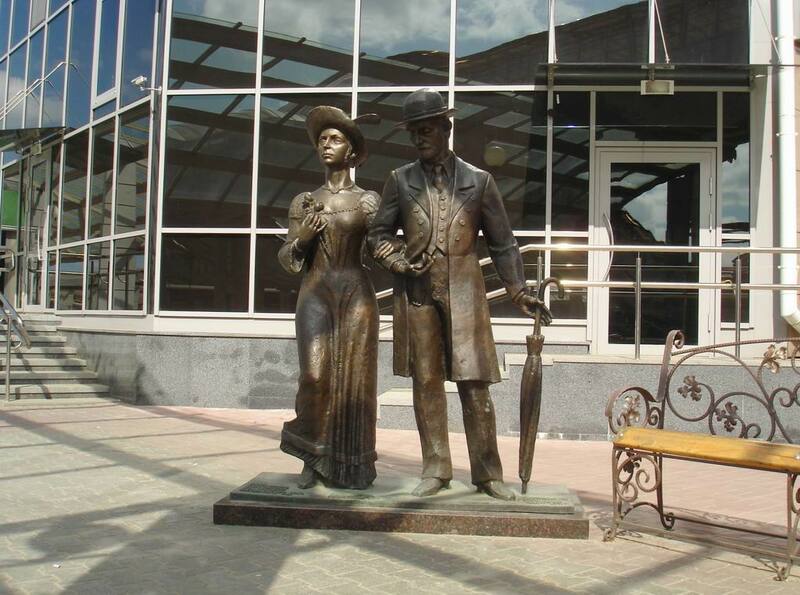 The sculptures will talk about the people who worked and made the history of Vitebsk. About the experiences and priorities of citizens, and the language of allegory will tell about their rich inner world and belief in miracles. 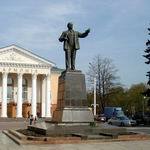 The culture of Vitebsk is so rich and varied that at first it is difficult to decide what to see in Vitebsk. But if you have a handy guide at hand, as city portal VitebskCity.by, the problem is solved by itself. 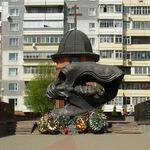 It is enough to scroll the page down to get acquainted with the most vivid and memorable monuments and sculptures of tourist Vitebsk. Each city has its landmark buildings. 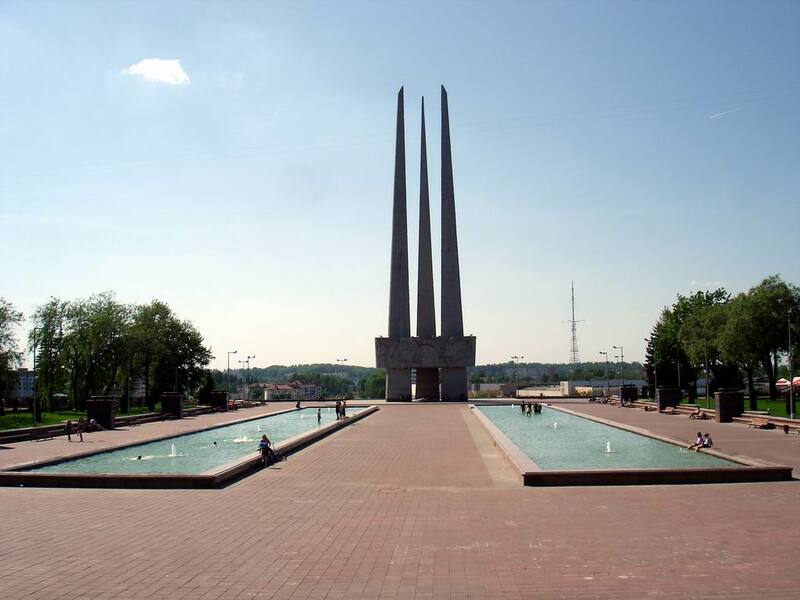 In Vitebsk it is memorial complex "Three bayonet," which chronicled the immortal feat of the people. Three bayonet majestically tower above the city, reminding the citizens again and again for rough years lived and on the great sacrifice of the Soviet people in the name of Victory. 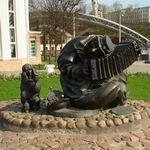 Sculpture "Welcomers": in Vitebsk we always welcome guests. 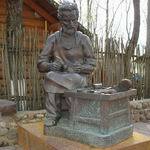 Perhaps, one can`t but agree that Vitebsk sculptures deserve special attention. Each has its character and its history. "Welcomers" sculpture is no less interesting in this regard, which became a symbol of the continuity of generations and the result of a successful union of creativity and gift. "Wandering Musician" has become a talisman of happiness. 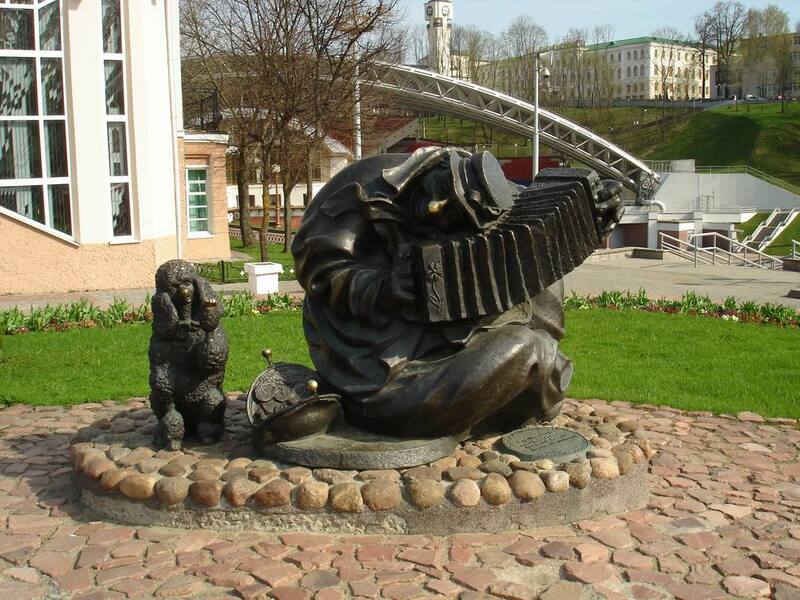 Sculpture "Street Clown" has already become a proven talisman of good luck and happiness for Vitebsk residents, as well as striking element of urban design. The traveling musician embodies creativity of Vitebsk, its musical foundation, unprecedented gift, kindness and sunny mood. Vitebsk melody on a French violin. 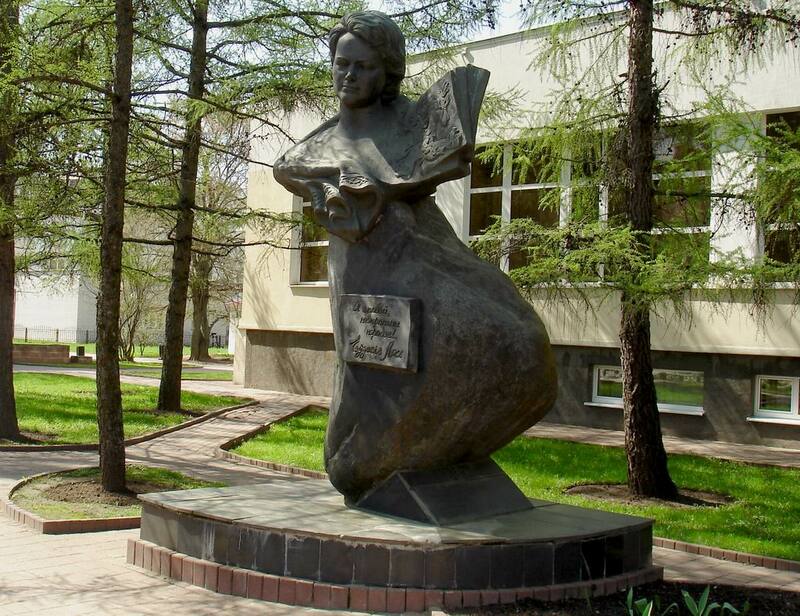 The House-Museum of Marc Chagall, founded in 1997, is interesting not only for its exhibits, remembering all the Chagall family, but also the monument to the great master, poetically called "Vitebsk melody on a French violin" in the courtyard. 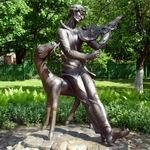 The monument is a tribute to the art of Marc Chagall, born in Vitebsk, but lived an interesting artistic life in Paris. 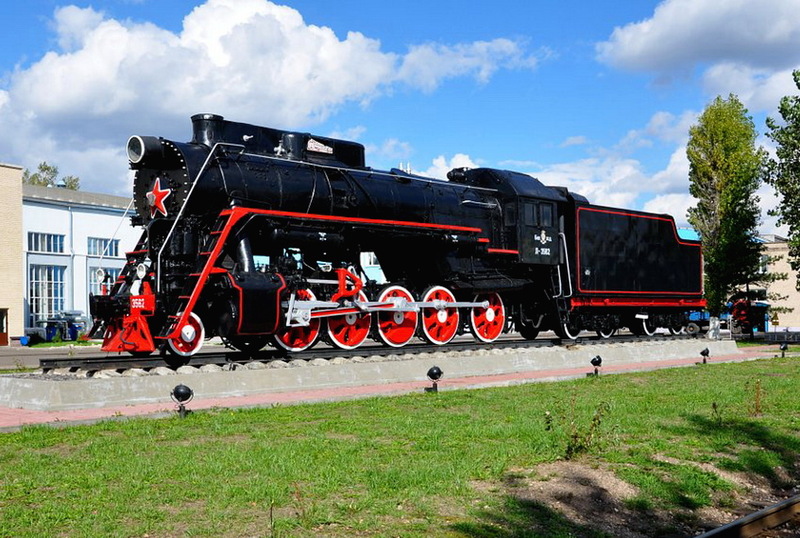 Steam Locomotive-Monument L-3562 – wonderful and incredible. Marc Chagall Monument in Pokrovskaya Street. 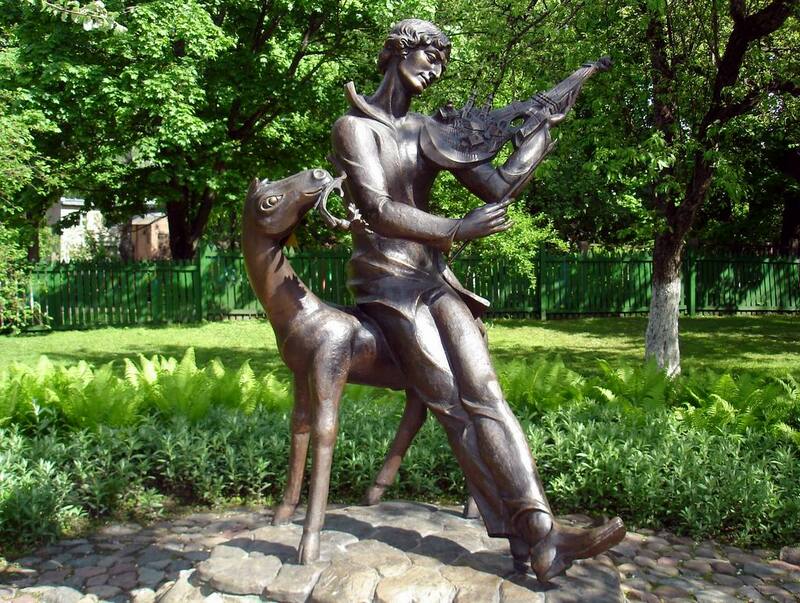 Marc Chagall Monument in Pokrovskaya Street is a symbol of love and respect to the great artist and an honorable citizen of the city of Vitebsk. Here our famous countryman was born and grew, so for us Pokrovskaya Street begins with Chagall as the theater begins with a hanger. And if you like Chagall then put cornflowers to his figure, the painter's favorite flowers. Sculpture of San Crispin: an open-air studio. 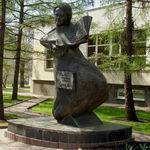 History of Vitebsk lives in monuments of culture and art. 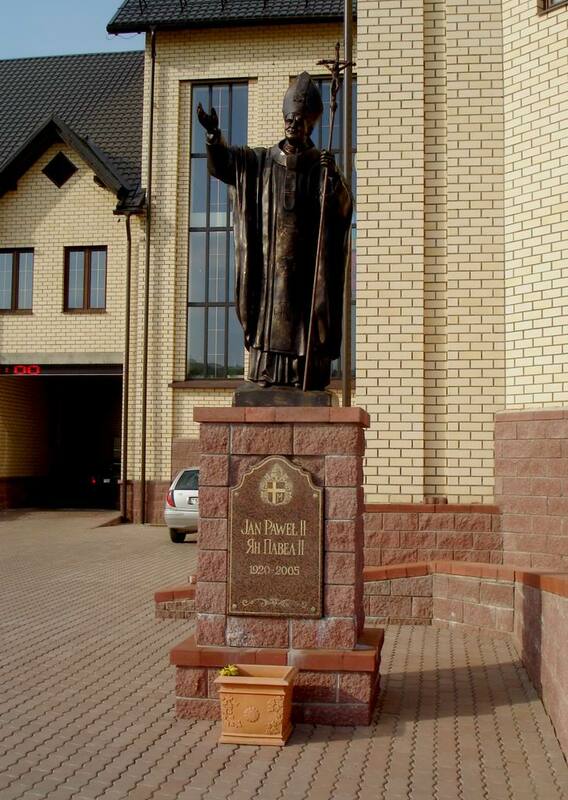 And though San Crispin was not Vitebsk resident, and not even Belarusian, he still found a place in the hospitable city. 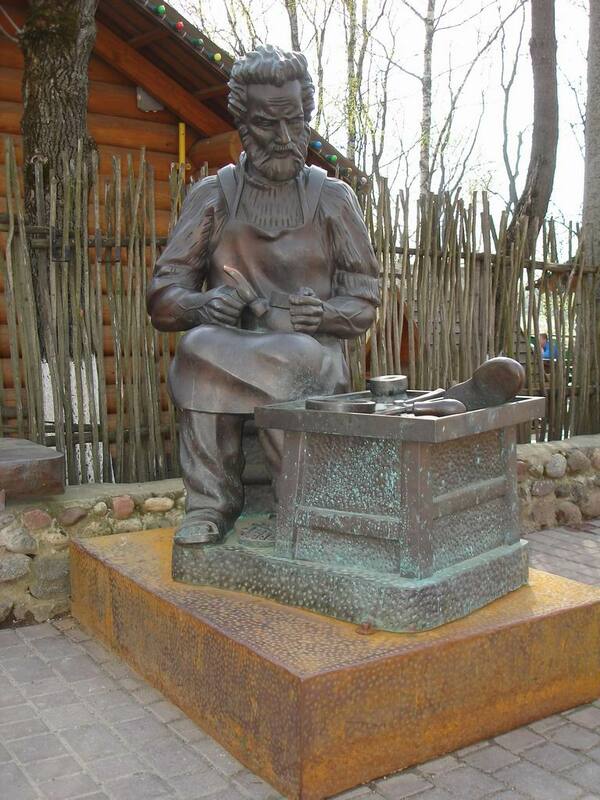 The citizens liked the sculpture of the patron of shoemakers and tanners “San Crispin" so much that they even made a legend that the saint brings happiness and good luck. 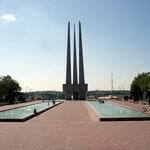 Monument to Heroes of the Patriotic War of 1812 - the oldest in Vitebsk. Have you ever seen a 100 year eagle? 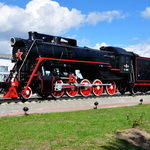 If not, it's high time for you to walk to the park heroes of the Patriotic War of 1812. 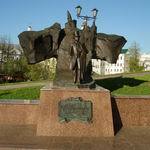 However, this bird does not belong to urban fauna, but to the culture of Vitebsk, because crown yet another object of historical Vitebsk - a monument to the heroes of World War II in 1812, established a century ago. 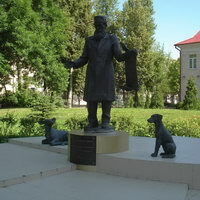 November 2011 pleased the Veterinary Academy students and residents of Vitebsk with inauguration of an unusual Monument to the Veterinarian. 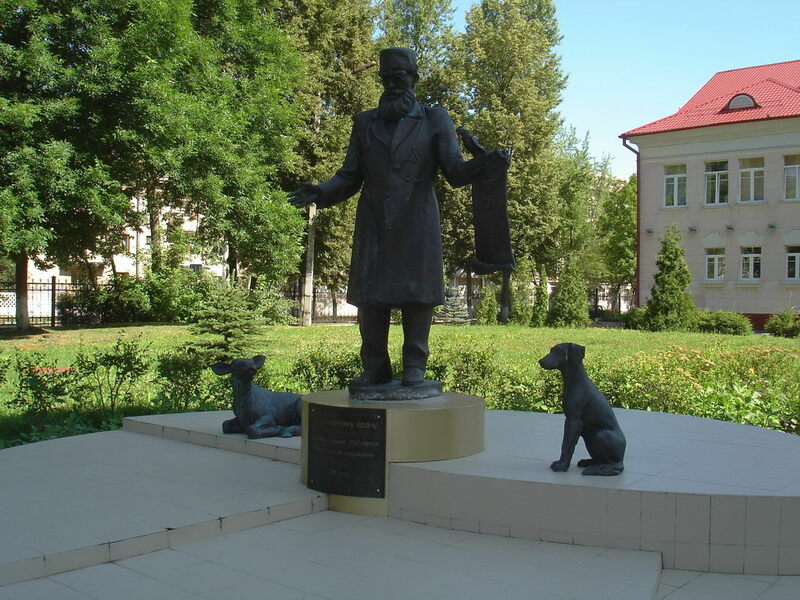 A bronze sculpture of the modern Dr.Doolittle is placed next to building of the Veterinary Academy. 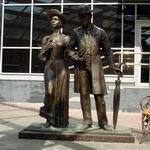 Monument to Alexander Pushkin - cultural relation. 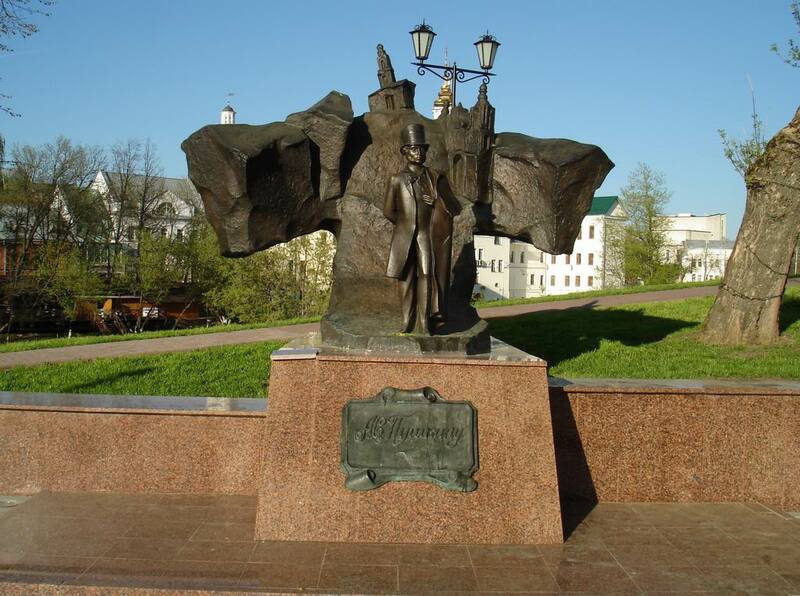 No wonder that the monument to great Russian poet and writer Alexander Pushkin was installed in 1989 on Pushkin Street in Vitebsk. 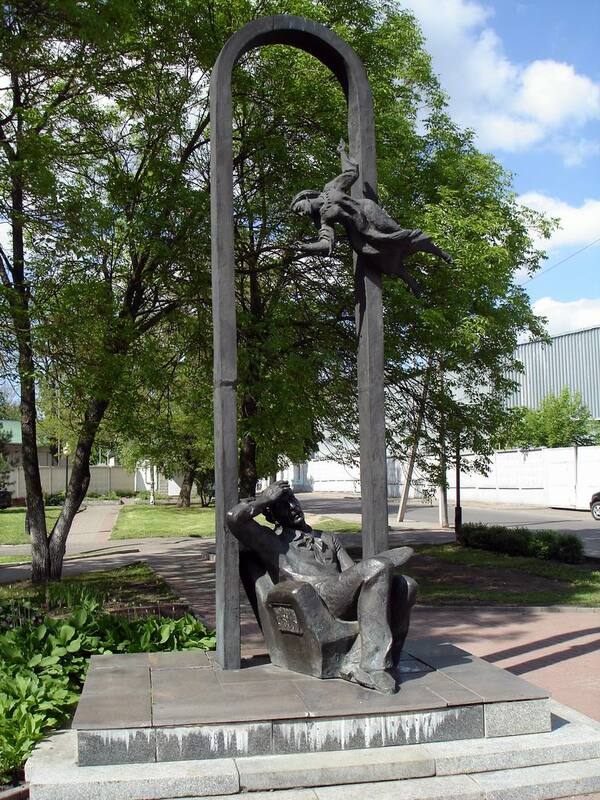 This beautiful piece of art by sculptor I.Kazak and architect V.Yagodnitsky shows relationship between two great cultures: Russian and Belarusian. 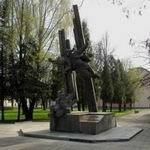 This is one of the classic examples of monuments in Vitebsk, established late last century. 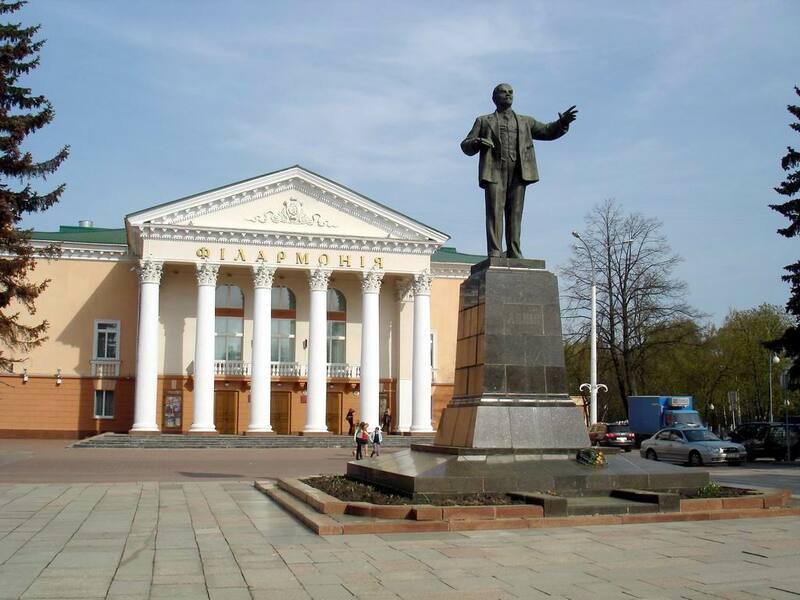 Lenin monument in the city of Vitebsk is unique because it is Vitebsk citizens who immediately after the death of this great revolutionary, made a proposal to erect a monument to the leader of Socialism. 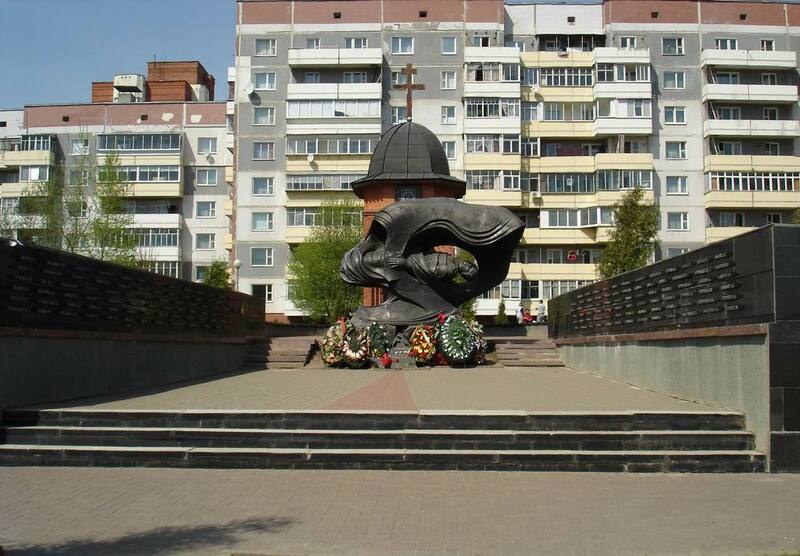 So this is the first monument to the leader in full height in Belarus and one of the first in the USSR. It is still standing not touched by time on the city square. Memorial sign "To Children of War": the pain impossible to forget. 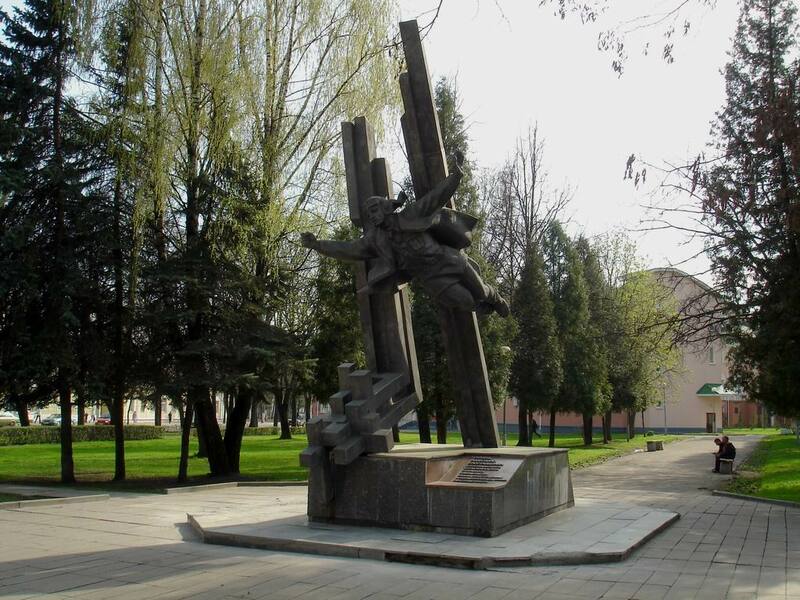 Memorial sign «To Children of War» in Vitebsk is a heartbreaking reminder of the tragic pages in the history of the Belarusian people. It is this part of our consciousness, which could not be neither forgot nor lost, or we will lose our future. 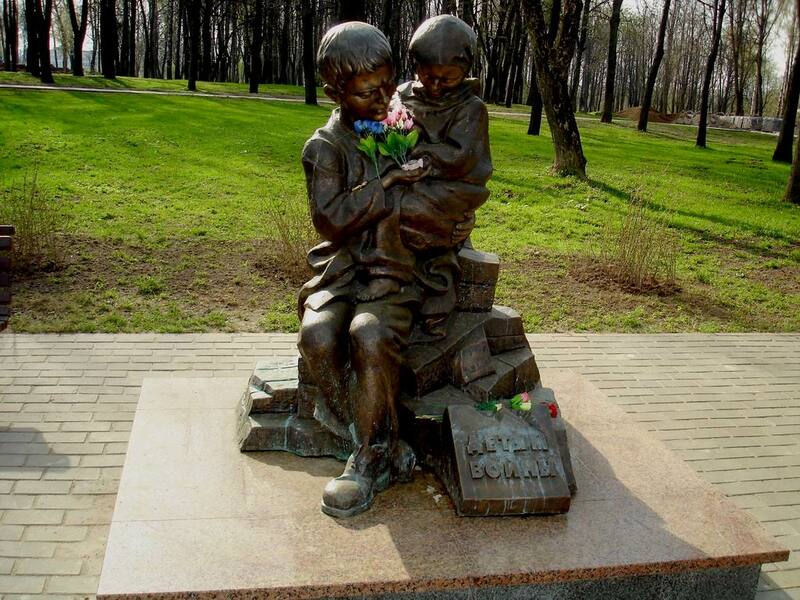 Memorial sign «To Children of War» needs to remember, it needs to live, because it's the heart of our soul. Monument to Poetess Eudoxia Los. 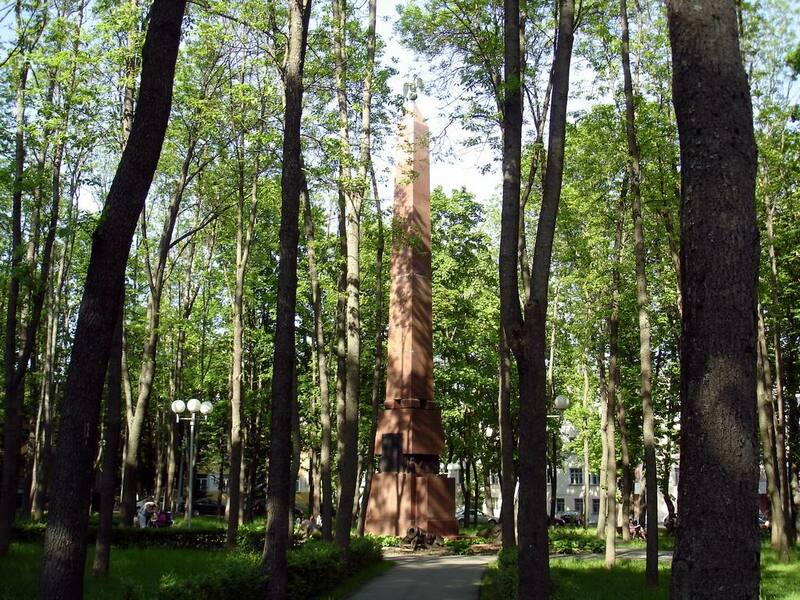 Monument to Eudoxia Los set in 1996 at Lenin Library in a frame of beautiful blue spruces, is a living proof that Vitebsk citizens appreciate the culture of Vitebsk and deeply respect poets and writers of the native land.